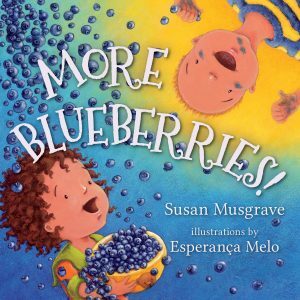 And what’s the best treat to go with a book about blueberries? 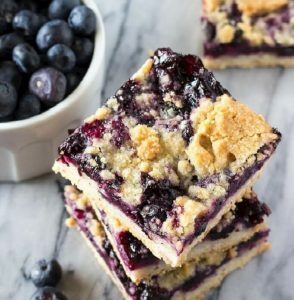 Blueberry Crumble Bars! Preheat the oven to 375*F degrees. Line an 8 x 8 inch square baking pan with aluminium foil leaving an overhang on each side and grease with butter. Set aside. To make the blueberry mixture, in a medium bowl toss together all the ingredients (blueberries, cornstarch, lemon zest, lemon juice & sugar) until the blueberries are covered. Set aside. In a separate large bowl whisk together the butter, flour, 1/2 cup granulated sugar & baking powder. Cut in the butter & egg yolk using a pastry cutter or fork until the mixture is crumbly and resembles wet sand. Pack down two thirds to three quarters of the mixture into the bottom of the prepared pan. Pour the blueberry mixture over top. To the remaining flour mixture, cut in the brown sugar and the remaining 1 tablespoon of granulated sugar. Crumble the remaining dough over the blueberry mixture, squeezing it into your fist first. Bake in the oven for about 45 minutes, until the blueberries are bubbling and the crumble layer is golden. Allow to cool then lift the bars out of the pan using the aluminium foil overhang and cut into squares. 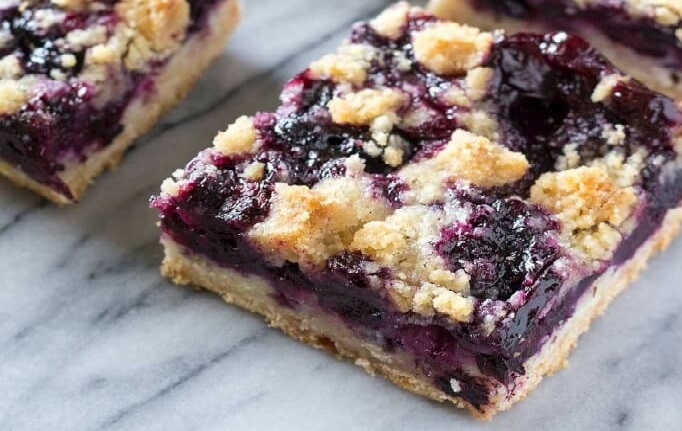 Need more reading to go with your Blueberry Crumble Bars? 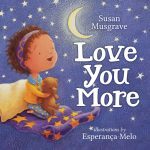 There’s also Love You More by Susan Musgrave and Esperanca Melo. This rhyming board book spans one full calendar year and celebrates the deep love between parent and child. Rendered in couplets, the verses weave expressions of affection with vivid imagery from the natural world, making it ideal for teaching young ones about the seasons and the beauty of nature. Winking and dancing in the January sky.